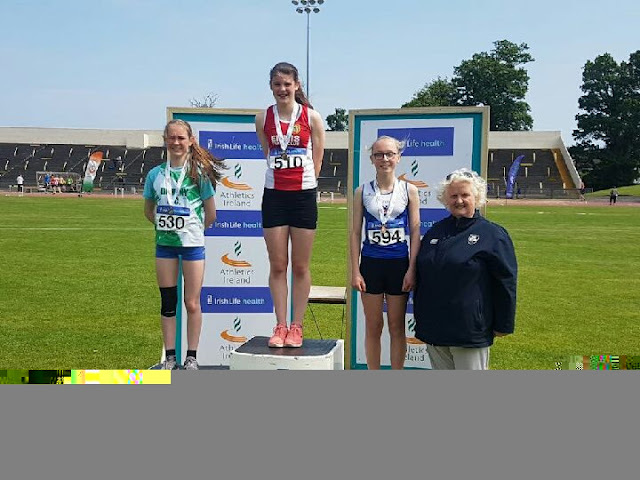 Well done to our U14 girls Laura Kelly and Amy Forde on a great performance at the national combined events in Santry on Saturday. Laura achieved three PB's in the shot put 8.41m, high jump 1.49m and a terrific run in the last event of the day the 800m with a massive Pb of 2:26.8s . Laura was awarded 3rd place with an overall points tally of 2507.